The first Festival took place in 2013 at Lingfield Point in Darlington, making a big impact regionally and nationally, with 27,000 visitors, 17,000 more than expected. 2014 saw the Festival grow with 40,000 visitors pouring through the gates increasing to 45,000 coming along to the 2015 event. 2015 was the last Festival at Lingfield Point, where we celebrated the 190th anniversary of the first passenger steam train (between Stockton and Darlington). 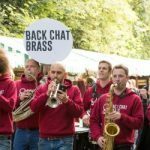 In 2016, the Festival moved location to Kirkleatham Museum & Grounds in Redcar. Over 35,000 people came along on 17 and 18 September to be entertained, inspired and educated about how to live thriftily and sustainably in style. In 2017 Redcar and Cleveland welcomed us back, and we were delighted when over 45,000 came along to our 5th Festival of Thrift on 23 and 24 September for another wonderful thrifty weekend, with a theme of growing and appreciating other’s viewpoints. 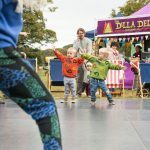 We have won a multitude of awards since starting out, including Best Event Teesside (in 2015 and 2017), Gold as North East Tourism Event of the Year and the Observer Ethical Awards for Arts and Culture, recognising the fact that artists are embedded in the programme as agents for social change. 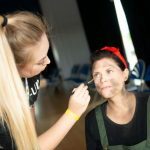 Build a unique and distinctive, fun, sustainable national event which draws positive media attention to our partners, Tees Valley and the North East. Celebrate the heritage and contribute to the future prosperity of Tees Valley and its industry. Ensure wider economic benefit through encouraging extended visitor spend on travel, accommodation, restaurants and businesses. Contribute to community cohesion through targeting communities with less access to culture. Highlight the skills and creativity of the region’s artists and craftspeople, to inspire people of all ages to learn old ways, and find new ways to be creative in their ever y day lives.